Battery-operated smoke alarm utilizes ionization sensing technology, 4-inch unit is smaller, more discreet. 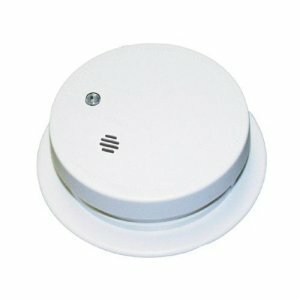 Powered by a 9V battery, providing continuous protection, even during power outages, easy-install unit with test button. Not available for sale in Oregon or Vermont.